Kathryn Ullrich is the founder of Ullrich Associates, aÂ Silicon Valley based executive recruiter in software, professional services, and high technology industries, recruiting for C-level, VP, Director, Manager and Partner positions for market facing functions of Marketing, Product Marketing/Product Management, Sales, and Consulting. Kathryn also Â provides career programs, webinars, coaching and on-line resources for UCLA MBA alumni as Associate Director of Alumni Career Services. Previous work experience in executive recruiting, product marketing, consulting and engineering at Russell Reynolds Associates, Siebel Systems, Accenture, GTE and Motorola. 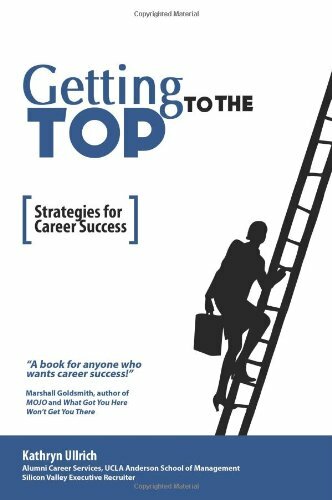 She is also the author of ofÂ Getting to the Top and producer of career development programs with Stanford Graduate School of Business alumni services and UCLA Anderson School of Management.